Philadelphia E-Lane Initiative April 1, 2012 – A hilarious little April Fool’s joke on Philadelphia’s pedestrians, who were witness to the unveiling of a new “E-Lane” for the exclusive use of texting addicts. Just one of the city pranks highlighted over at Atlantic Cities. 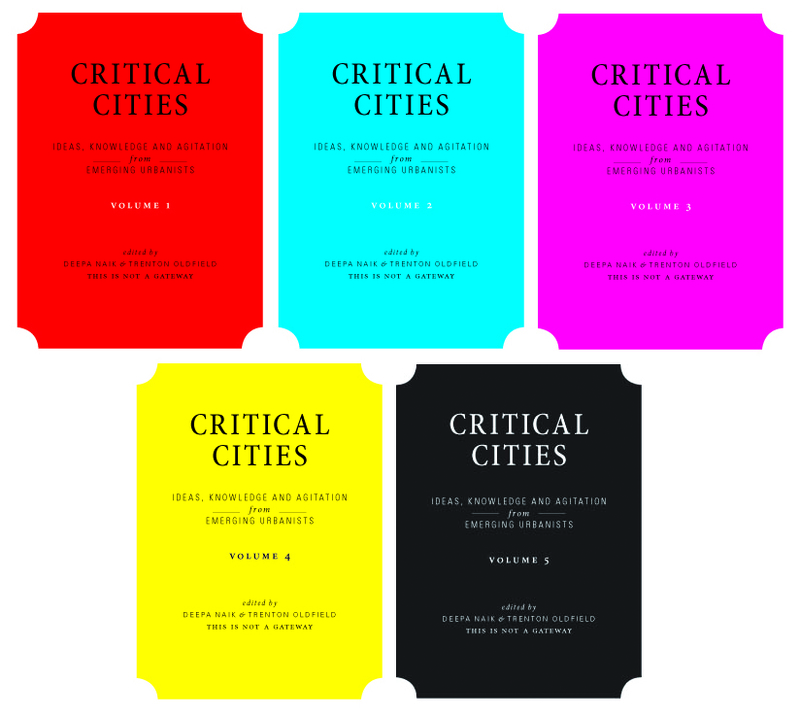 Critical Cities – While cities are expanding, ‘gateways’ into official discourses have narrowed. This collection of books explores the urban field by gathering perspectives from new and divergent practices and a wide variety of fields, including law, architecture, film, community organising, art and academia. Reinventing Urbanism in a Time of Economic Crisis – Manuel Castells, University Professor and Wallis Annenberg Chair in Communications & Society, University of Southern California and Emeritus Professor of City and Regional Planning College of Environmental Design, UC Berkeley talks about emerging practices in the field of urbanism in response to the financial crisis. Green Urbanism: Learning From European Cities – With the increasing need to confront unplanned growth, Timothy Beatley explains what planners and local officials in the United States can learn from the sustainable city movement in Europe, drawing from the extensive European experience and examining the progress and policies of twenty-five of the most innovative cities in eleven European countries. 10 urban infrastructure regeneration projects – In case you missed it, check out our latest case study roundup, which focuses on the transformation of large infrastructure such as highways or railroads into public parks, transit systems and civic spaces.